Believe me, I love bling. I love tinsel and shiny things. I even love glitter. Just not on me, my hands, my craft space, or my floor. Maybe it was because I was a preschool teacher and had a bad experience with glitter. Let's just say we used it, then we tracked it through the entire school, church, and then the sanctuary that was attached to the school. Yes, that was me who heard the pastor say (as I quickly escaped through to the parking lot), "Who tracked glitter through the building!?!" My little phobia has gotten worse through the years and now I get anxiety just opening up a bottle of the shiny stuff. With our challenge of using Helmar's Gemstone Glue, I thought it was proper time for me to get over my fears and to give this card some extra shine. The card was made with glitter paper, a glittered die cut, and ribbon by The Robin's Nest. I then opened my Helmar Gemstone Glue and dipped the end of the thin ribbon into the jar. 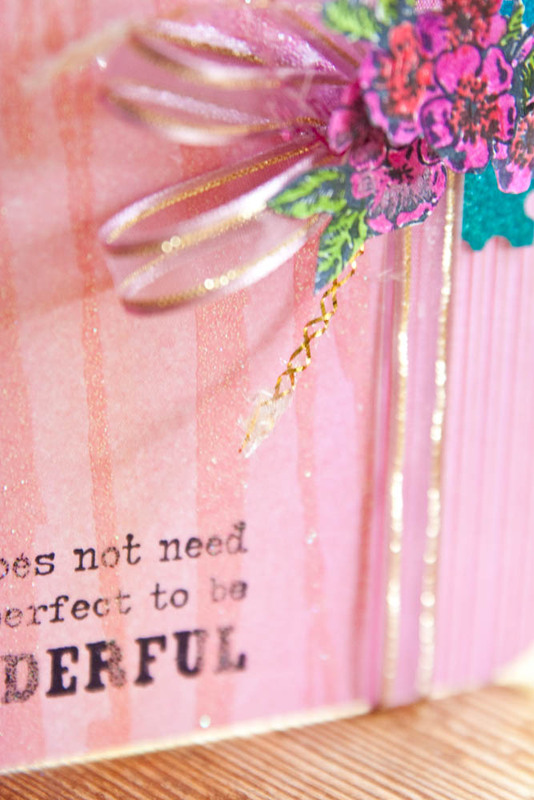 Next, I stuck the end of the ribbon right into the tinsel glitter jar and dipped the thin ribbon into the glitter! Yes, it doesn't contaminate the jar by sticking this glue inside it! Gemstone Glue is thick and holds its shape. 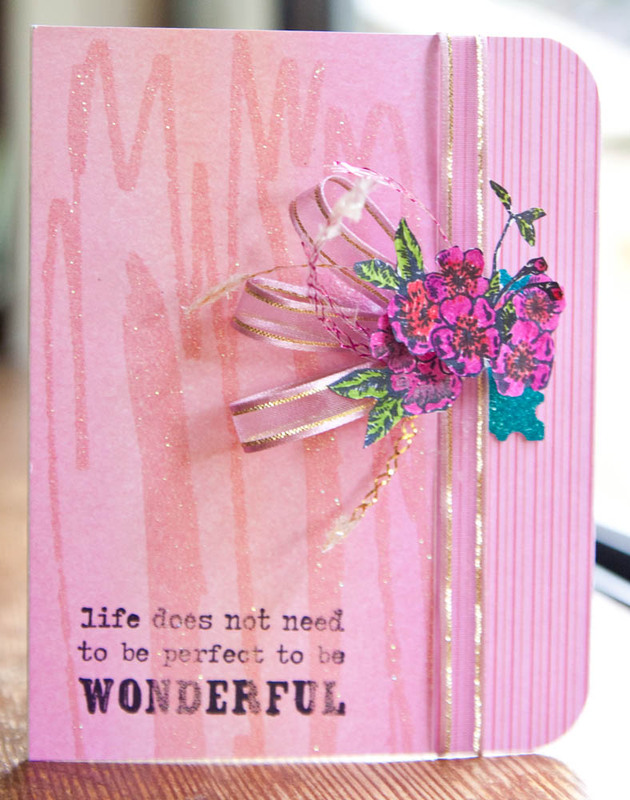 I carefully glued the other end of the ribbon to the card with Helmar's 450 Quick Dry. Then let your card dry completely. You know the Gemstone Glue is dry when it turns from blue-ish to clear.